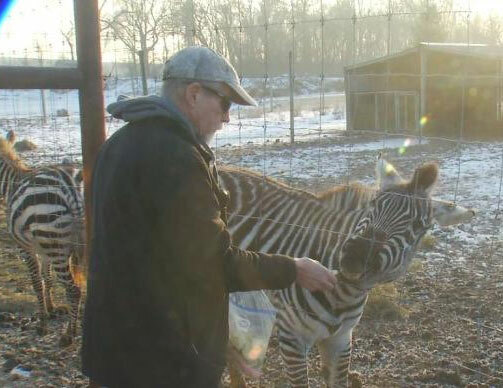 Mike Henninger of rural Oelwein, whose property lies just inside the Buchanan County line, reported Sunday afternoon that one of his pet zebras was shot and killed. The dead animal was taken to the state lab in Ames to determine the cause of death. Since last fall, a total of four zebras and a horse died on Henninger’s property, after being shot by an unknown person. A Dysart man was arrested last year on a charge of harassment for threatening Henninger through text messages and a video. There was no indication that this same man was the person who shot Henninger’s animals. Henninger himself was wounded by gunfire. A bullet from an unknown source struck him in the leg while he was working outside last fall. He was treated at University Hospitals for the wound, but no charges were ever filed.